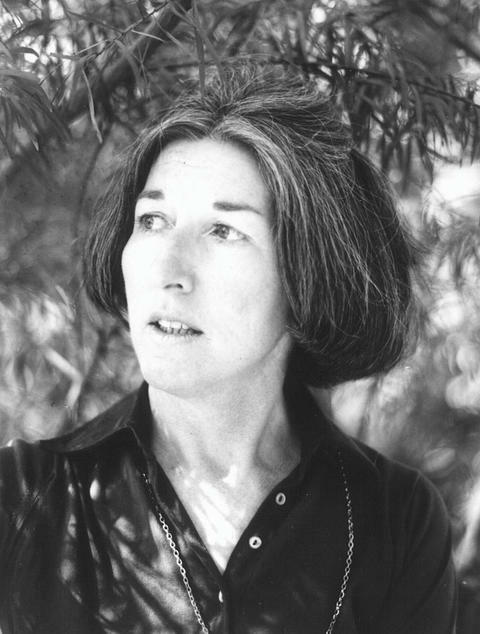 Until last year, The Watch Tower (1966) was Elizabeth Harrower’s last book. She attempted to write another, abandoned the project and retired from writing permanently. Then, in 2014, after producing a new print run of her existing canon, Text Publishing dug up the manuscript she was working on when she called it quits and convinced her to let them publish it as well. So, in 2014, In Certain Circles, a work totally abandoned in 1971, became Harrower’s first published work for almost a half-century. 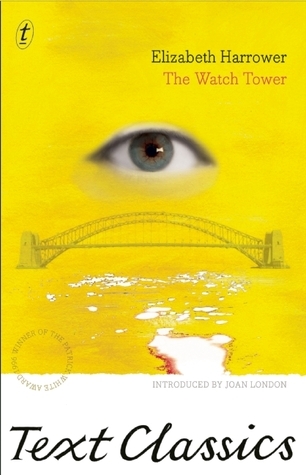 I haven’t read In Certain Circles, but I find the acclaim it has since received (it was just shortlisted for the NSW Premier’s Literary Awards 2015) entirely believable. In The Watch Tower are all the hallmarks of a writer with staying power. Though Harrower apparently described writing In Certain Circles as being akin to forced labour, none of the strain she may have felt whilst writing it is in The Watch Tower. While it does have a stifling brilliance, The Watch Tower also exudes a singular, incisive, emotive clarity that never seems unsubtle, the same gentle, recognisable sense of the world that defines many modern classics – among them Marilynne Robinson’s Housekeeping. Like Housekeeping, The Watch Tower follows two sisters’ transitions from girls to women, although the setting is Sydney, Australia, and the time period is the 1940s. Laura and Clare Vaizey are just children when their father dies and they are left with their psychologically and emotionally destitute mother. Laura, a promising student, is taken out of school to become the family’s breadwinner at a factory run by the peculiar Felix Shaw, and while the younger Clare is given greater freedom, the tether that links her to Laura is stringy and raw. They need each other, be it with their mother, or later, when their mother has left, and the inexorable, impulsive Felix rolls the manipulable Laura into marriage. It is in Laura’s marriage to Felix, and in the home the couple shares with Clare, that the sore heart of this book resides. At first an apparently generous benefactor, Felix gradually reveals himself to be a weak-willed, cruel man with a drinking problem, as relentless at financial, physical and emotional intimidation as he is hell-bent on ruining himself by acts of monetary senselessness and sycophancy. She knew about pity. Every day, every day, people walked on clouds of illusion. In that play at the Theatre Royal there was an actress who thought herself lovely, and who was plump and too old for the part. The leading actor meant to be brilliant and subtle, yet no single gesture or inflexion was inspired by talent. Clare’s heart was wrung. She suffered for them, loved and shielded them. When they bowed before the curtain and beamed at the applause, tears rolled down her cheeks. It was unbearable. They must never know. As suburban as its beginnings are, The Watch Tower is all the more effective for Harrower’s never having reached beyond these three beleaguered people and their contained, occasionally perforated bubble. She writes right next to you, with hopeful yet defined limits, of real, yielding characters. I am glad Text Classics reprinted this title, and that it was recommended to me. That it was ever allowed to go out of print is hardly imaginable.